Following two well received EPs (So Good in 2014 and February 15 in 2015), Neo Jessica Joshua, alias Nao, released a promising first album in the summer of 2016, For All We Know. A Nottingham native who settled in East London early on, she put her high-flying soul sound into dubstep, funk, pop and R&B. Two years later, on Saturn, she applies the same formula – and while she's not the only one to offer this particular mixture, she is doing so with a certain originality. Beneath the surging currents of slightly futuristic, visceral pop, the young Brit shows off her sensual, almost puckish, voice. Jarvis Cocker's former backing singer, who made her name on Disclosure's Superego, has made a second multifaceted album, which digs deep into classical soul as much as it does into nu-soul or electronic R&B. 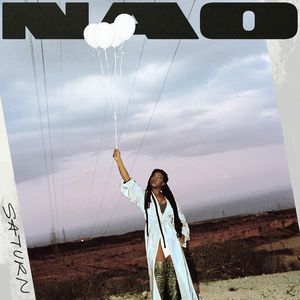 With scraps of West African rhythms (Drive & Disconnect), sensual R&B (Curiosity), catchy electro pop (If You Ever written with Alex Crossan AKA Mura Masa) and light soul (Make It Out Alive with the Californian SiR), Nao elegantly picks her way through the whole field of contemporary groove.